Have you heard how the menacing looking Italian Mastiff is such a softy at home, that if a child was getting scolded, this protective Molosser would even put themselves between the little one and the parent, as a shield! 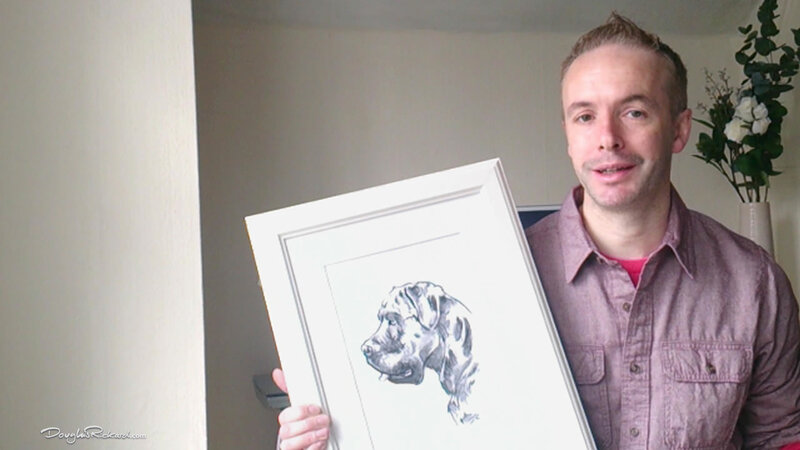 Check out the video below in which I talk about that nature of the Italian Mastiff, and why I think those characteristics must melt the heart of any dog lover and even, not dog lover too. 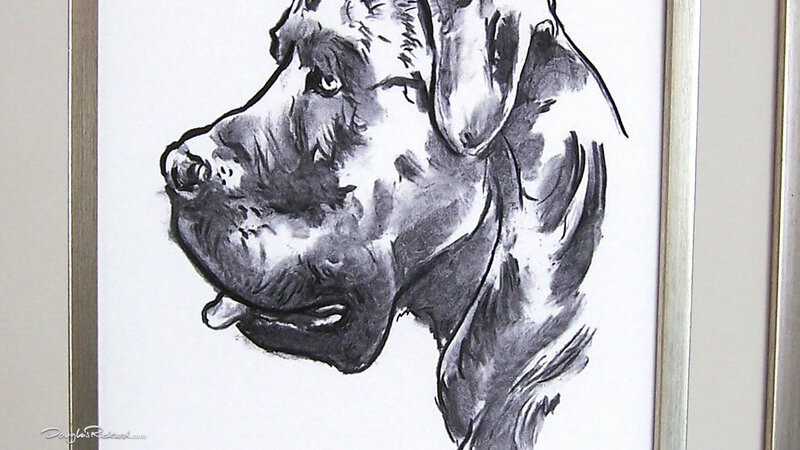 If you own an Italian Mastiff otherwise known as the Cane Corso, what do you think? 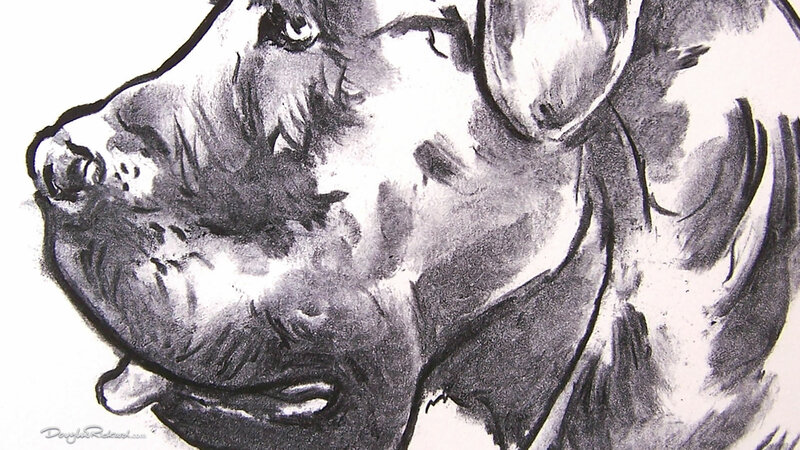 Have I captured that kindness in the eyes, behind all that strength, fur and broad muzzle? 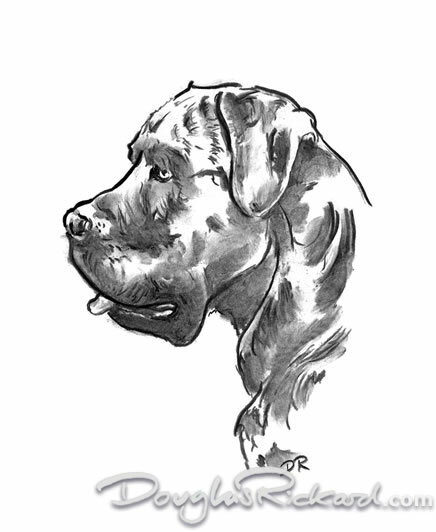 As well as signed giclée, Cane Corso art prints direct from me, you also have the option to buy my drawing of a loved and loving dog on larger wall art, phone cases and fittingly home décor and kids’ clothes.